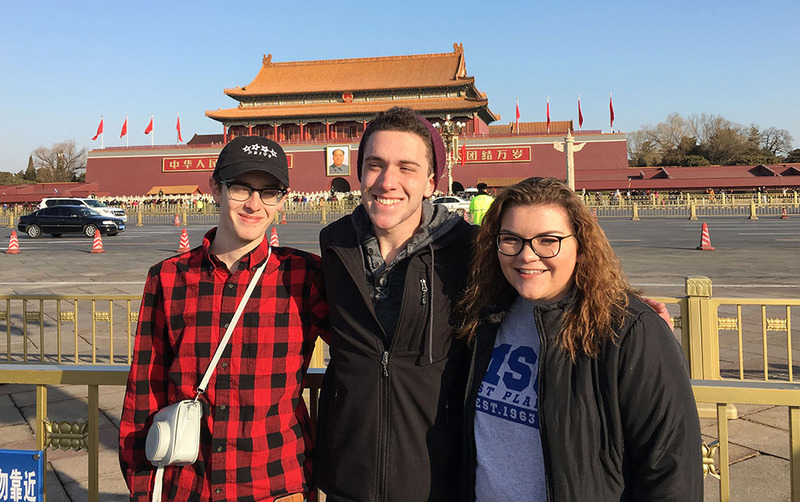 Three students from Missouri State University-West Plains are spending the spring semester studying at the university’s branch campus on the Liaoning Normal University (LNU) campus in Dalian, China. They are attending classes at LNU as part of the China Semester Study Away Program. In addition to taking classes, they also are working as interns in the branch campus’ offices and teaching conversational English to Chinese students. Through this experience, they will learn more about the Chinese culture, history and language and develop an increased awareness of the country’s growing business relationship with the U.S., university officials said. The group left the U.S. on Feb. 19 and will return in late July.